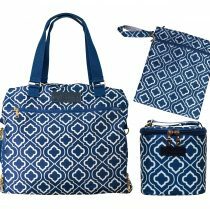 Bundle and save with the Sarah Wells Lizzy Bag All-In bundle. 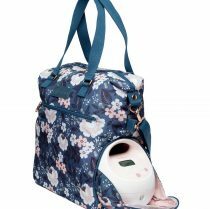 With customizable functionality, this breast pump bag will seamlessly transition from a day at work to a romantic date night, stylishly toting your breast pump with you. 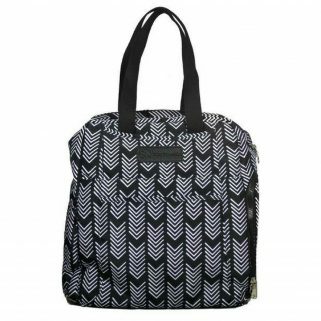 Plus, it is conveniently paired with a matching “Pumparoo” wet/dry bag and Cold Gold cooler bag! 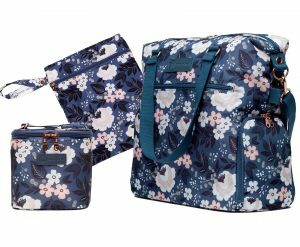 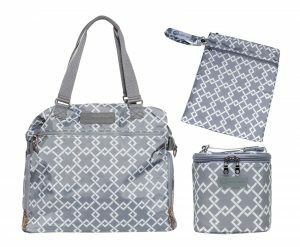 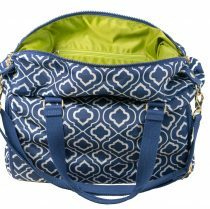 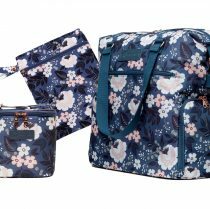 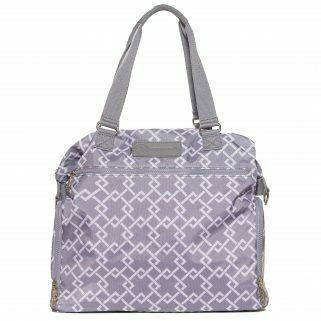 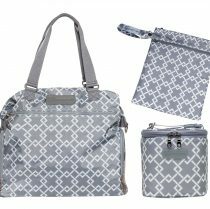 All-in-one functionality with two-way snap system; snap sides down for a smaller pump purse, unsnap and use cross-body strap for a large laptop bag and tote. 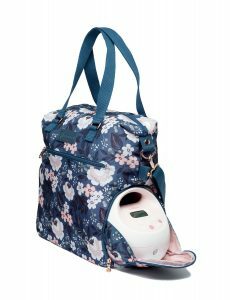 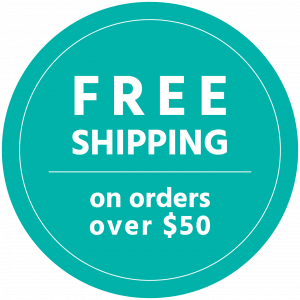 Thermally-lined pockets on both sides of the bag for breast pump, accessories, and pumped milk (which will keep cold within the pocket for up to 6 hours with ice packs). 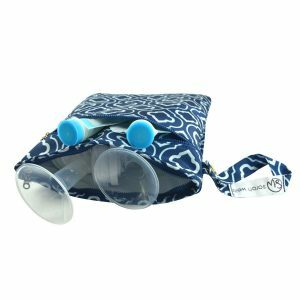 Two photo pouches to see your little one(s) while pumping. 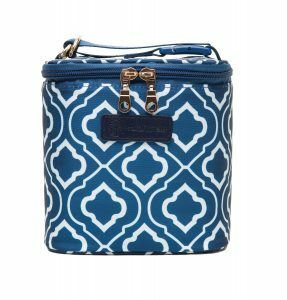 Helpful exterior zip pocket for quick and easy access to smaller items, like your phone. 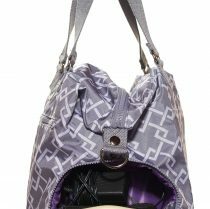 Interior zip for everything else. 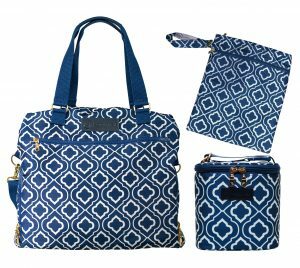 Fits laptops with screens up to 15″ wide. 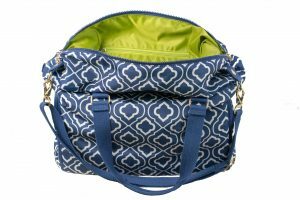 Bag dimensions: 17″ H x 7″ W x 16″ L.
Discreetly and cleanly transport your pump parts & setup/take down your pump parts on a clean staging mat! 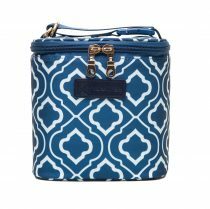 Uniquely taller design – Fits 4, 8-oz bottles, or 6+ milk storage bags, a glass Mason jar, or some combination of all of these. 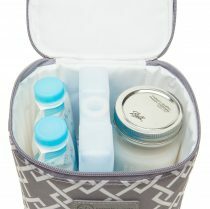 Interior mesh pocket for extra milk storage bags or other items. Comes with custom Sarah Wells ice pack, which will keep pumped milk cold for up to 8 hours.